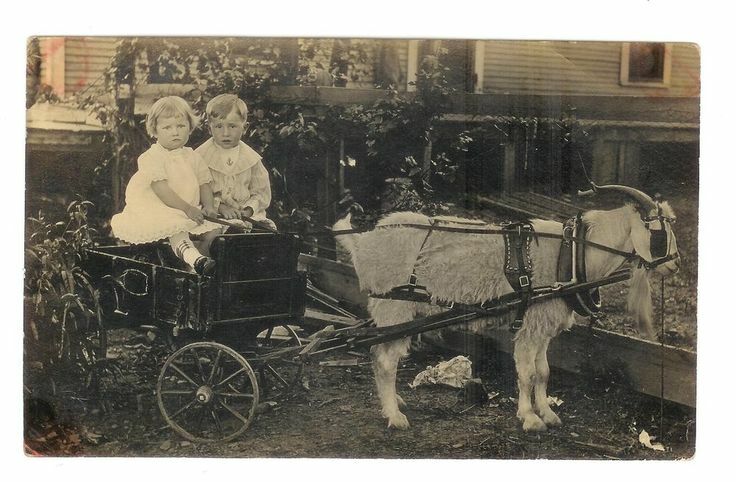 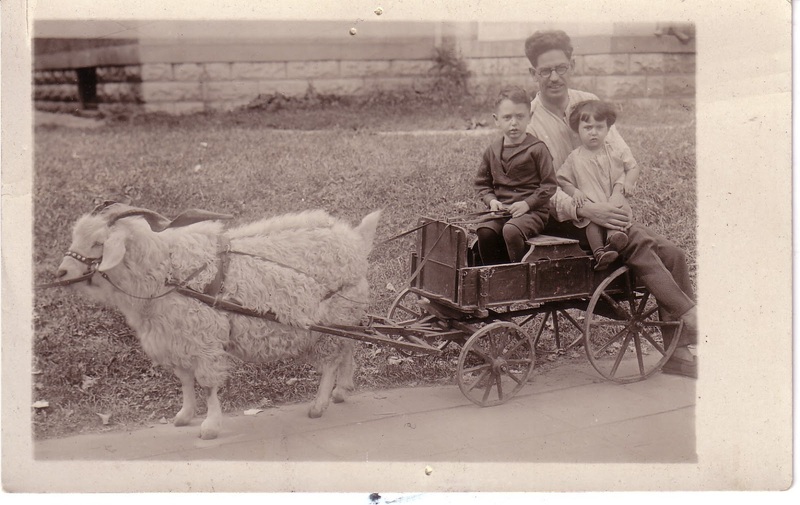 I had always been fascinated by this rather bizarre photo of my mother with her father and brother, taken around 1922 in St. Paul, Minnesota. In 2009 while visiting her home town, I visited the Minnesota Historical Center. 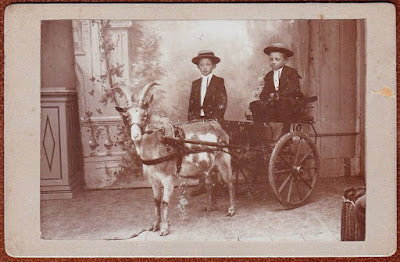 There was a slideshow going on in the lobby, and as I passed by, to my astonishment I saw pop up a faded photo of another family in a similar contraption. 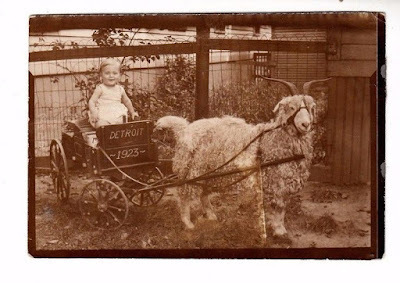 After a bit of research I came to realize that this was no coincidence. 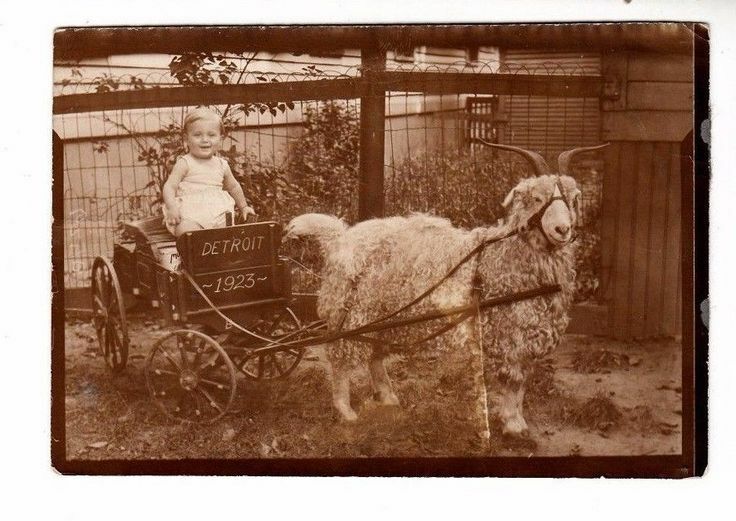 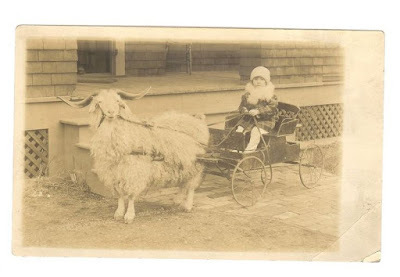 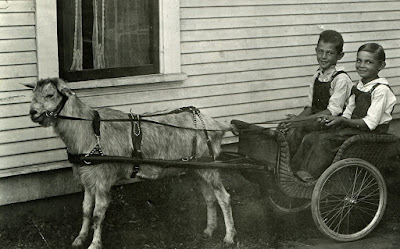 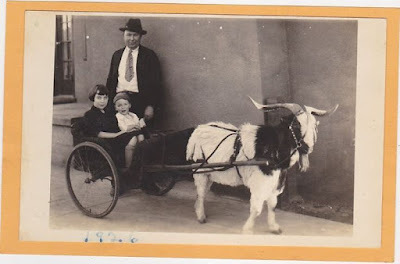 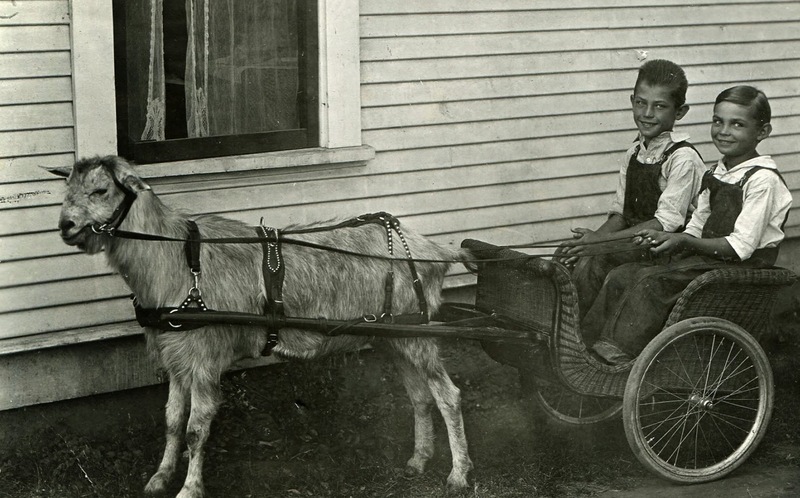 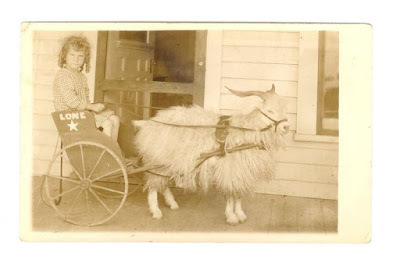 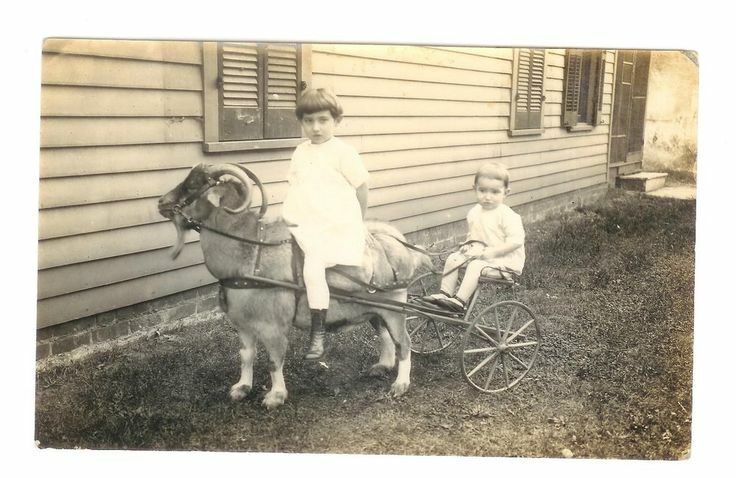 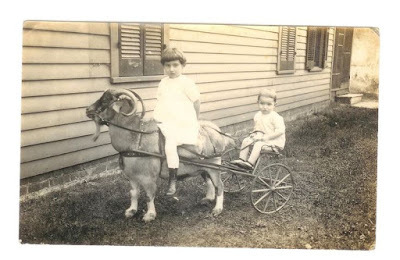 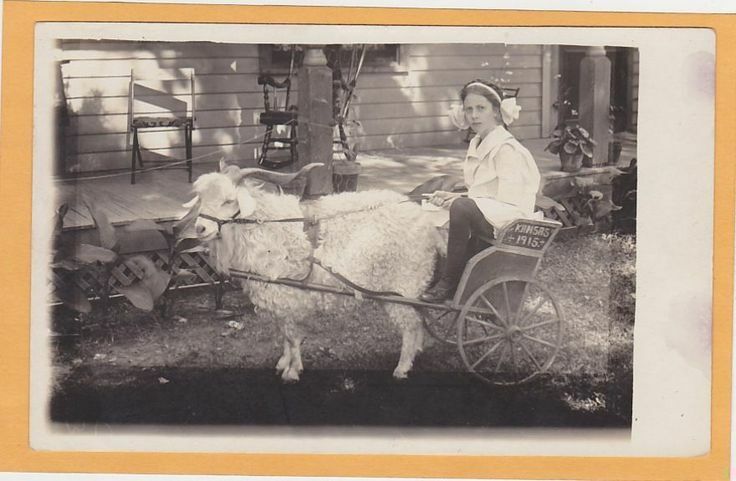 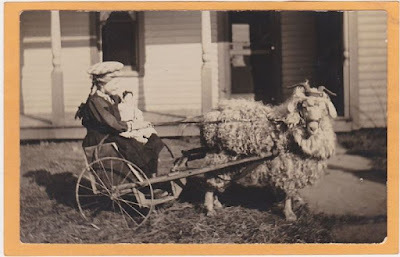 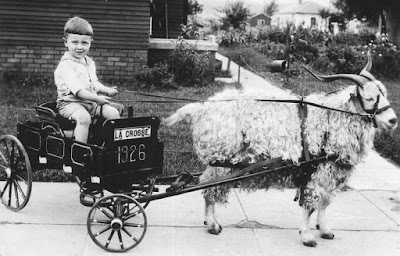 In pre-"selfie" days, it was a common novelty for children to be photographed by itinerant goatherd shutterbugs! 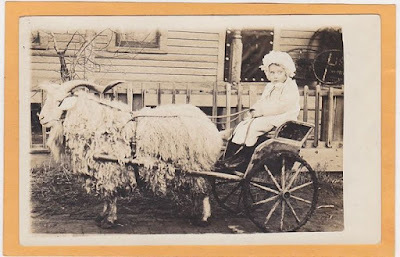 So common that there's now more than one Pinterest page for it! 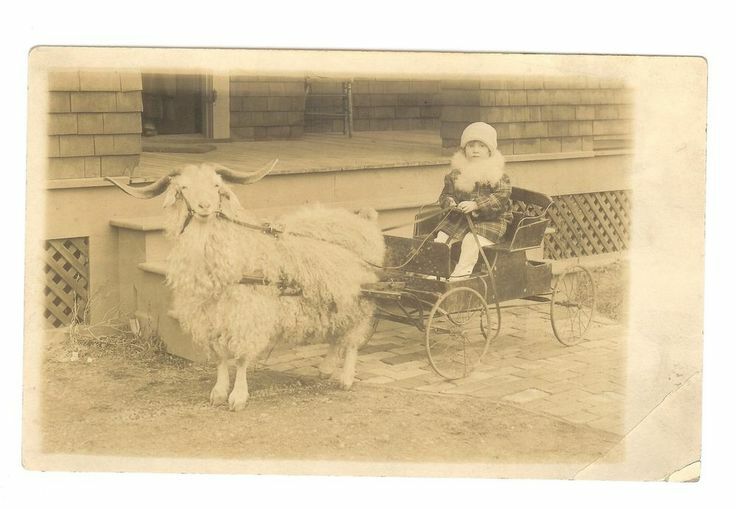 Though I can't promise more goatcards per se, check out this week's Sepia Saturday for more memories of times past. 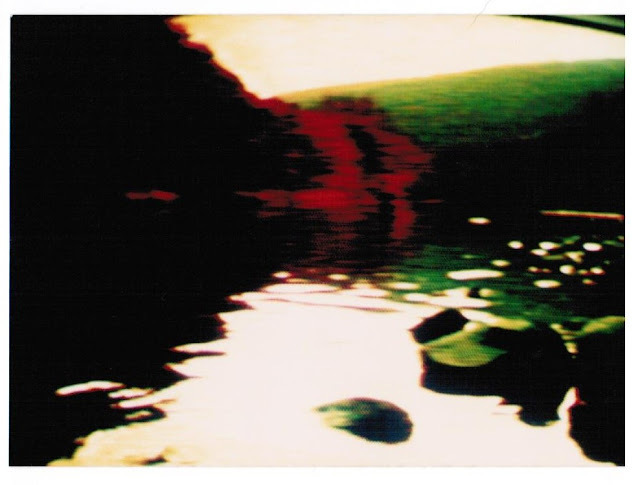 Today's semi-abstracts relate to this week's Sepia Saturday theme. Years and years ago my grandfather's cousin Peggy passed away and left him a color television set, which I subsequently inherited in the late 1970s. 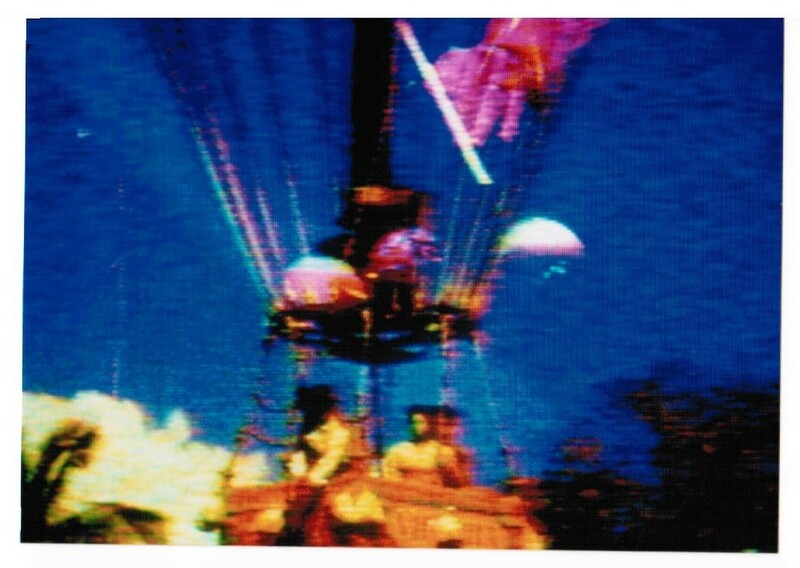 It was a "portable," although it weighed about 40 pounds, and among its then state-of-the-art features, it allowed you to manually and easily control contrast, hue, and saturation. I experimented with these controls quite a bit, and especially liked to set them at various extremes and use the machine as a sort of light-show at parties, with the sound turned off. 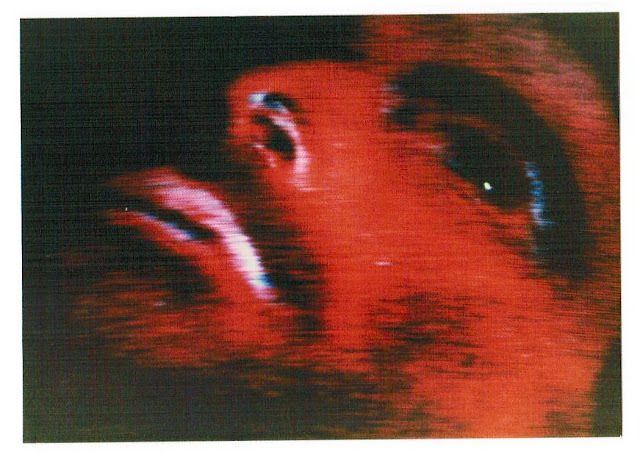 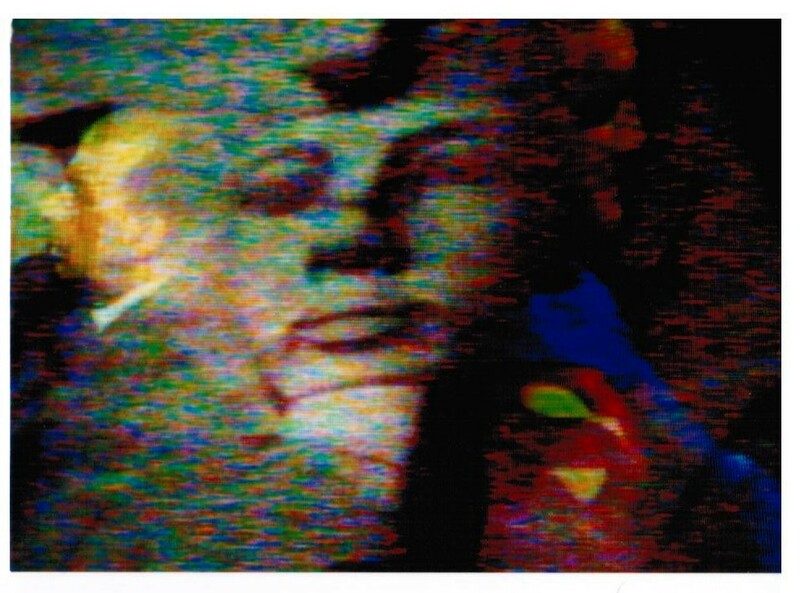 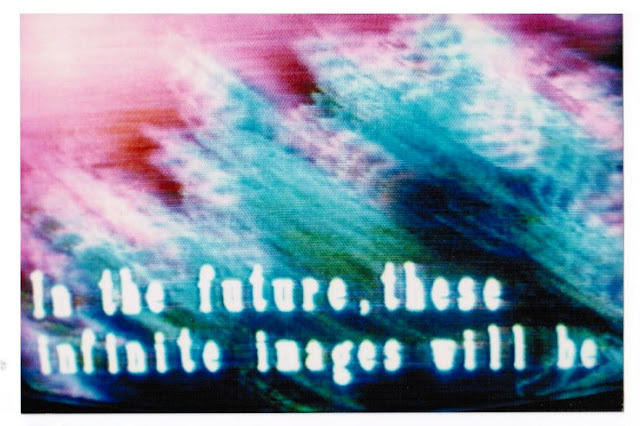 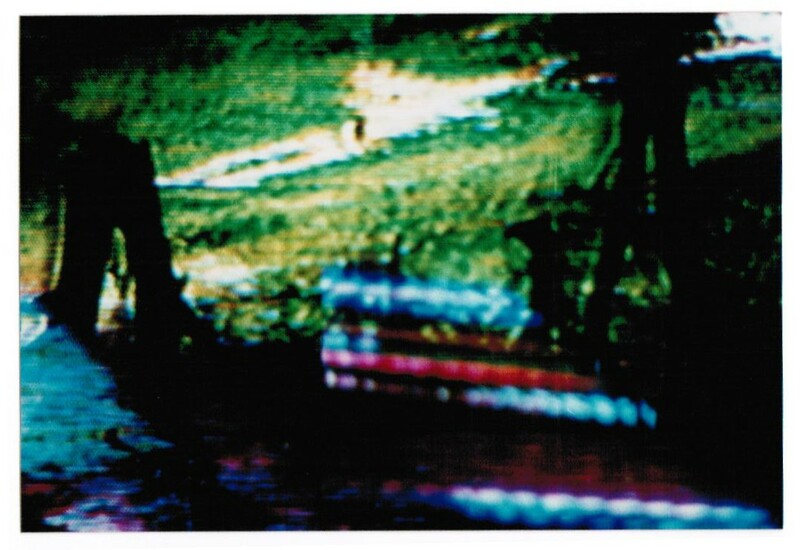 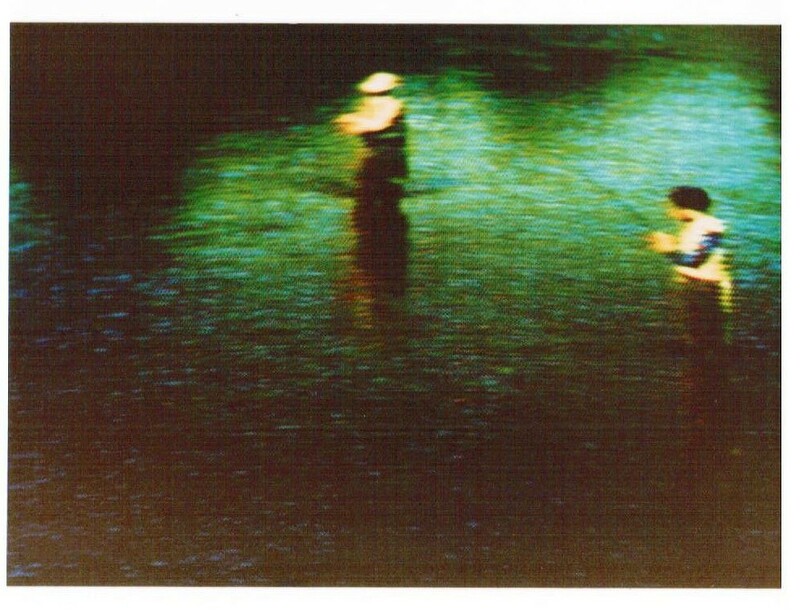 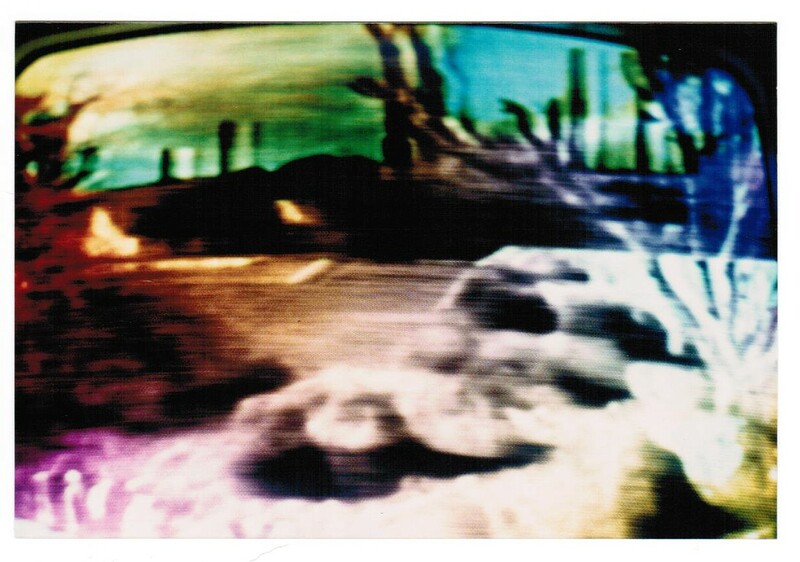 Here are a few samples of "paintings" I captured from the TV, circa 1986, some as double exposures. 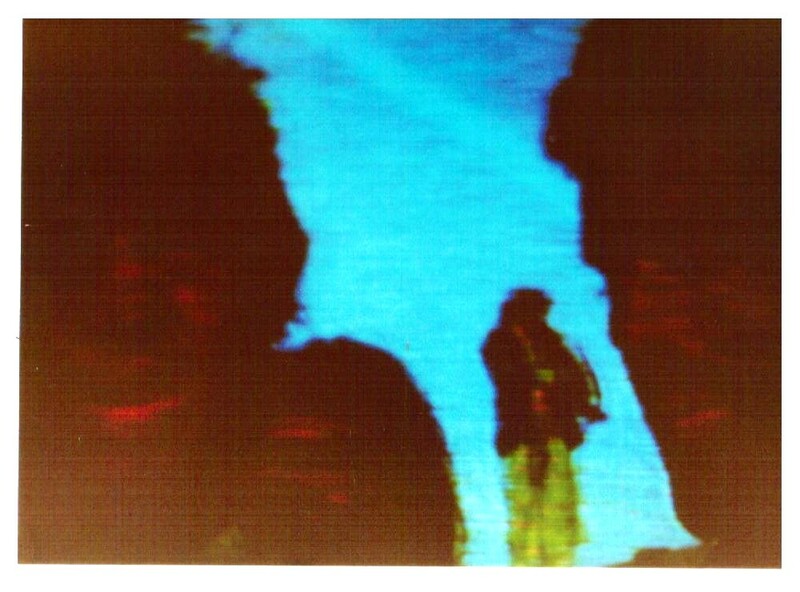 In the first one you can actually see the top of the screen.